Geek Grotto - Get Your Geek On! 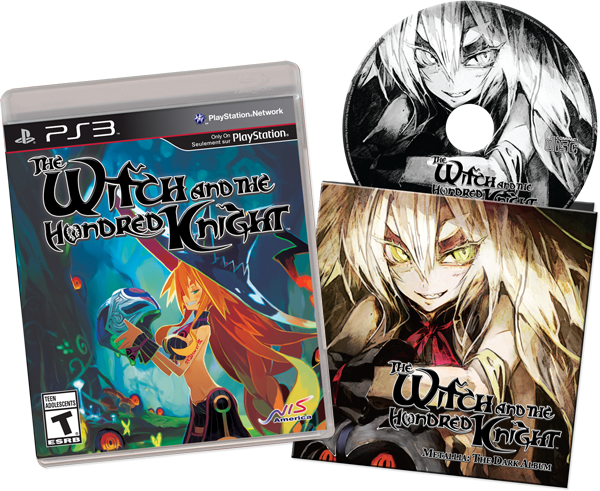 : The Witch And The Hundred Knight Is Now Shipping! The Witch And The Hundred Knight Is Now Shipping! Available today at retail and PSN, NIS releases anorher fun looking action RPG in the US! Santa Ana, Calif. (March 25, 2014)–NIS America is thrilled to announce that Nippon Ichi Software’s exciting action RPG The Witch and the Hundred Knight™ is now available for purchase across North America in both retail and digital form on PSN. Dark fantasy melee: Equip up to five different weapons at a time to build diverse, guard-breaking combos! enemy's attack at the last moment! Enemy chowdown: Remain in Metallia's service longer by consuming your foes when your Gigacals are low! Magical metamorphosis: Switch between different “facets” to best clobber your enemies and explore this dark fantasy world. Sinister is the name of the game: Enjoy the tale of one girl’s vengeance against the entire world — and "mercy" is not in her vocabulary!